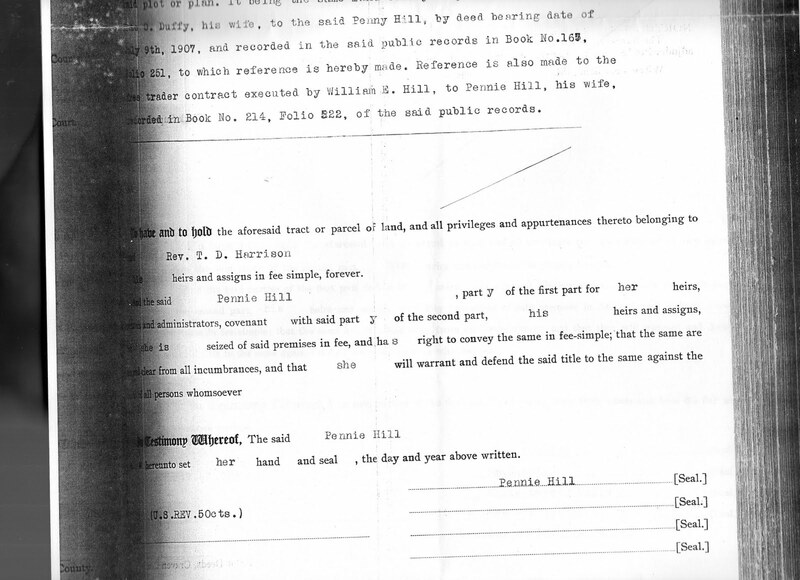 On my last post I shared the deed that Thomas Duke Harrison, my 2nd great grandfather, had for the house he owned on 1510 Lincoln St. Along with that deed, I also received two others. 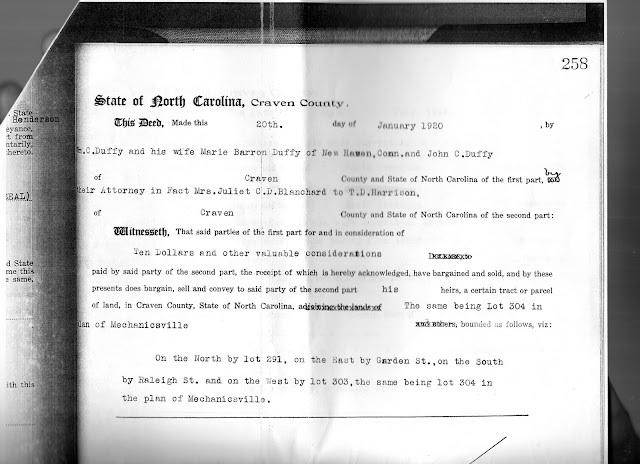 I have to say I was excited to find out that my ancestor had purchased his house from William Sutton, a presiding elder of the Methodist Church in New Bern and president of the Eastern North Carolina Industrial Academy. Were the other properties linked to the same man? Let's take a look. The land that is Lot 64 is directly adjacent to the deed for 1510 Lincoln St (Lot 65), so he was probably looking to have a yard large enough for his family. 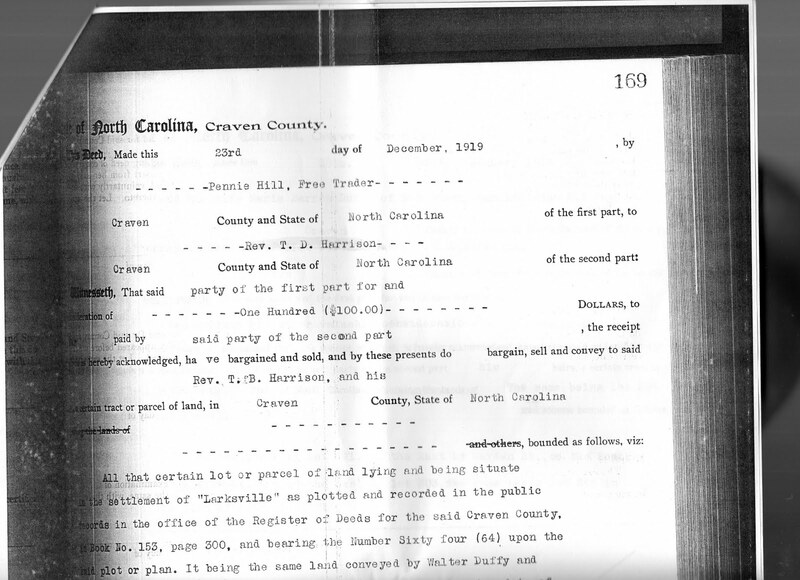 Now when I saw this last deed saying it was in Mechanicsville, New Bern, I got excited because I thought it may be in reference to the property for St. James Methodist Church for which he was pastor of at one point. I knew the church was once located in Mechanicsville. Though once I read though the details of the deed I found out this lot wasn't where St James Church was. 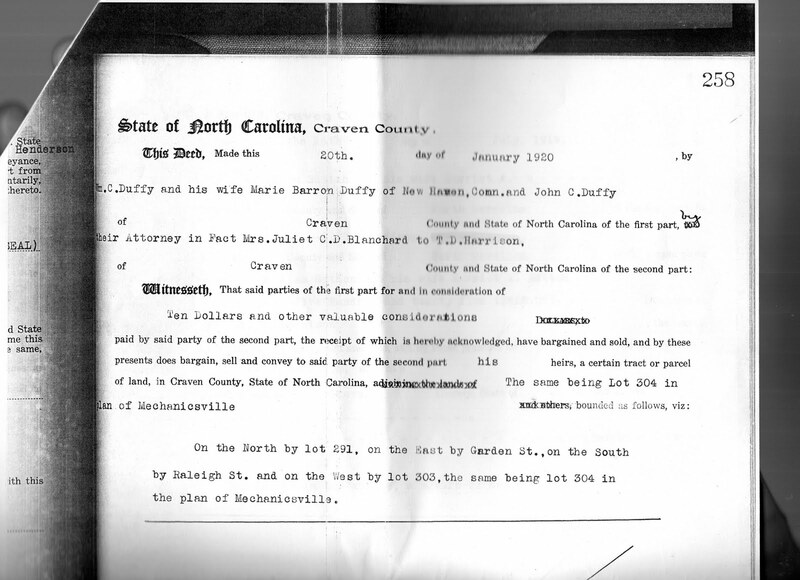 Interesting note, I now know why this area of New Bern was called "Duffyfield". It appears the land in this section of the city was owned by the wealthy William C Duffy and his wife Marie Barron Duffy. 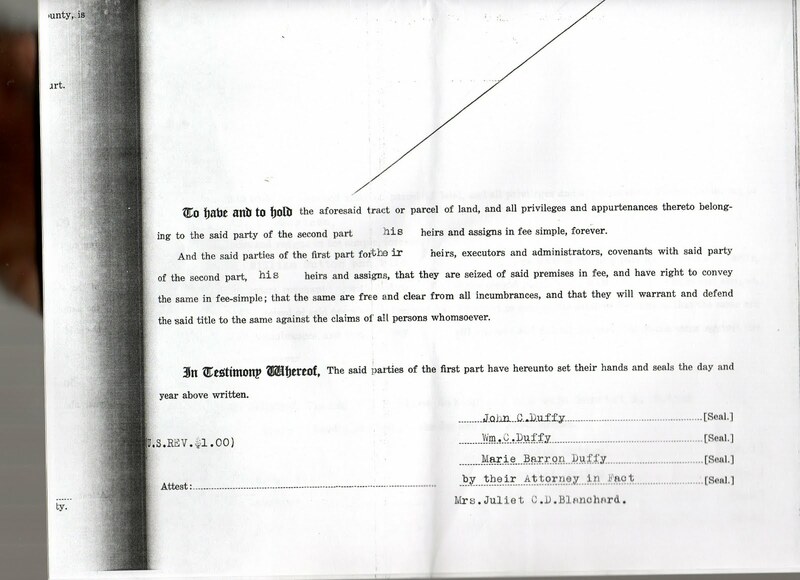 They, as noted on the second deed, resided in New Haven, Connecticut. Here's the Duffy family in New Haven, Connecticut on the 1930 Census. With a home value of $25,000 at the time, I think it is fair to say they were well off. Anyway back to the land. The last deed referred to land on Lot 304 in Mechanicsville. I figured out that Lot 304 is right on the corner of Raleigh and Garden St. There is a house that looks likes it was built maybe in the 1950's there now, so after my ancestor's lifetime. Why did my great great grandfather purchase this lot? And the digging continues....LOL!